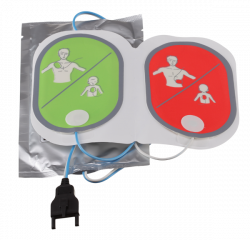 Purchase 50 or more Mediana A15 HeartOn AED Trainers and download your free support pack worth £100. 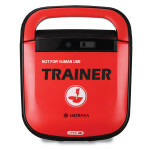 Purchase 200 or more Mediana A15 HeartOn AED Trainers and you can have personalised covers absolutely free! Pre-configured with 10 training scenarios. PC software allows trainer to configure custom scenarios. Shockable or non-shockable rhythm can be simulated by using the remote control.